Most people think motorcycle accident attorneys can only help you after the fact when you have an accident, but that is not always the case. Since these motorcycle accident attorneys see the same types of incidents over and over again, they are uniquely placed to explain the riskiest parts of owning and riding a motorcycle. They can even give you a heads-up on the riskiest places to drive in your community. What Can Motorcycle Accident Attorneys Teach You about Safety? Most people don’t look for an attorney until they need one, but if you notice a lot of settlements listed in your local paper or headline news about motorcycle crashes, pay attention. A lawsuit does more than just help the injured party; it shines a light on dangerous conditions in your community. 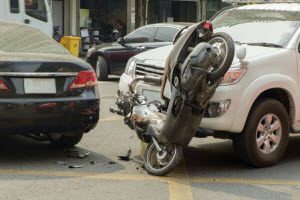 If you frequently see lawsuits and awards centering on motorcycle accident claims in your area, there could be a lack of awareness on the part of other drivers that puts motorcycle riders at increased risk. Regular headlines covering motorcycle suits can also reveal a community-wide problem or alert you to some area-specific dangers. • Seek out medical treatment. Visit the doctor for treatment for your injuries. This will help document your claim and ensure prompt treatment. • Take pictures. Photographs will help you record what happened and support your claim. • Gather witnesses. Take down the names of anyone who witnessed your accident. • Call an attorney. You’ll need a capable lawyer on your side to ensure fair treatment by the insurance company. Community safety and prevention are at the heart of motorcycle accident lawsuits. The injured rider needs compensation. Also, the community at large needs awareness of the dangerous conditions that contributed to the accident. Contrary to popular belief, you can still sue for damages after an accident, even if you were not wearing a helmet. Understanding your rights helps ensure you get the best possible outcome from your case. If you or someone you love has suffered injuries in a motorcycle accident, we can help. At Williams & Williams, LLC, our team of motorcycle accident attorneys understands the impact an accident can have on your life and stands ready to help you recover your losses. It’s important to have legal guidance from qualified attorneys who understand the ins and outs of motorcycle accidents. That way, you can receive the advice and support you need during this time. Find out what you need to know about motorcycle accident attorneys and claims by calling our team at Williams & Williams, LLC at 770-823-2711.